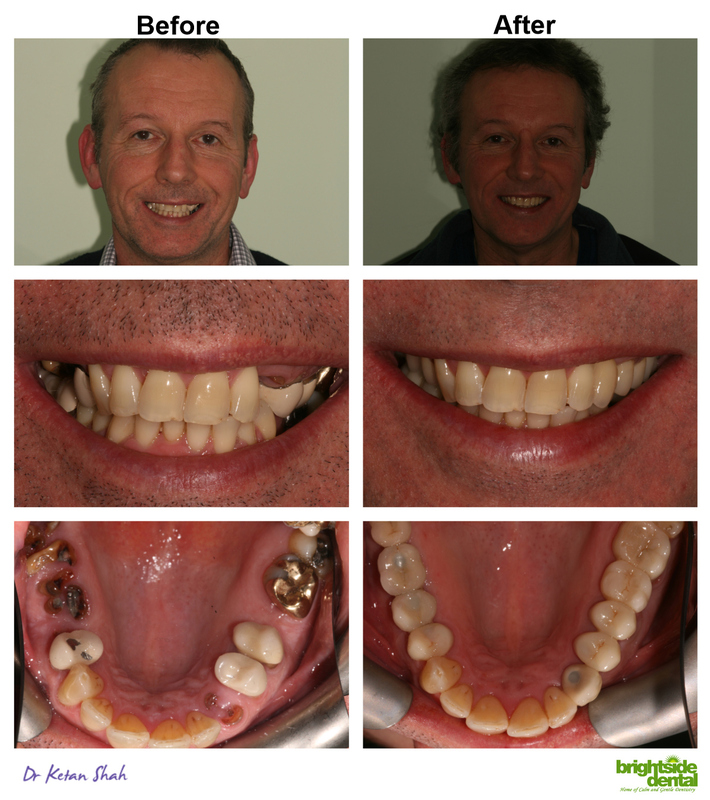 Julian came to Brightside Dental having not visited a dentist in over 10 years. The main thing that prompted him was that his wife had completed a course of extensive treatment and it gave him hope as he previously believed nothing could be done to improve the condition of his mouth. Julian was seen by various members of the Brightside clinical team on a regular basis for over 1 year during which time he had almost a full range of dental treatments from gum treatment; fillings; extractions; root canal treatment; crowns and dental implants to replace various missing teeth. If you would like to find out how we can improve your oral health and smile, give us a call on 020 88884401. This entry was posted in Treatments on 20th March, 2019 by Brightside Dental.